My daughter often jokes that her father and I will have “permagrins” when we are old. She follows this with an explanation of how weird we both are, adding, “But weird is never boring.” She’s at that age of analysis–where everything is explored, digested and discussed. Yesterday after a particularly giggly drive on our way home from the orthodontist, she said, “Have you noticed how all Christian moms are a bit goofy?” She then went on to talk about some of the Christian women she knew, comparing and contrasting them to some of the moms of her non-Christian friends. She wanted to know if being a Christian made you goofy. I had to laugh at her simple, tell-it-like-it-is, teenage logic. Then, once we were done sharing a giggle and a few, “Remember when,” stories, I asked her why she thought that was. Why were the Christians she knew so much happier than those who didn’t know Christ? She said, “Jesus must be really funny!” Ah, from the mouth of babes! Although I do think God must have a sense of humor (ever seen an angler fish? ), you and I know there’s much more to it than that. Knowing Jesus means knowing peace. Our family has faced numerous ups and downs, but even in the depths of trial, we can rejoice because we know-know-know God is in control. Because of God’s ever protective hand on our lives, the stress is not so stressful, the difficulty not so difficult and the pain not nearly as intense. And what happens when stress, angst and fear are removed? Joy is allowed to bubble freely. Today’s post reminds us that we are not alone. God is ever-present, in the good times and the bad. He goes before us and levels the mountains and breaks through bars of iron. He walks beside us, holding us up when we are tired. He goes behind us, ready to catch us should we fall. And He goes with us, filling us with the love that penetrates so deeply, it overflows in love, joy, peace, goodness and self-control. Today’s devo first appeared on Jodie Bailey’s personal blog on September 1st. As you read it, take time to really digest the truth presented. No matter where you go, God is with you. His love will never fail and His mercies are new every morning. He knows the answer to every problem you’ll ever face and He has the power to see you through. Deuteronomy 31:8 (NIV)–The Lord Himself goes before you and will be with you; he will never leave you or forsake you. Do not be afraid; do not be discouraged. I love this verse (and the dozens like it in the Bible), because I still struggle to remember that God goes with me… everywhere… always. It’s so easy to get bogged down in my plans and worries and concerns that I miss the fact He is right there beside me. Not only does He go with us, He goes before us. Everywhere we go, He has already been. He’s already prepared the way. No detour in our lives surprises Him. No “out of the blue” happening catches Him off guard. By the time we get there, He’s seen it all. Oh, if that’s not comforting, I don’t know what is. Why worry about tomorrow? God’s already seen it. So, as you peruse Deuteronomy, what verse leaps out at you? Share it in the comments of this blog or blog about it yourself and leave us a link. Just be sure to link back to us. Looking forward to hearing what you find! Jodie Bailey was Playwright of the Year in Methodist University’s annual Hail! Dionysus competition and has written plays performed by the Monarch Playmakers. She has been published in Teen magazine and collaborated on PWOC International’s latest Bible study. She has a B.A. double major in English literature and writing, and an M.Ed. 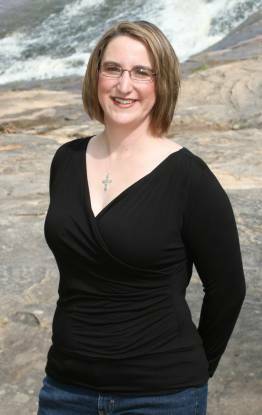 She is a member of American Christian Fiction Writers, the Christian Writers Guild, and Middle Tennessee Christian Writers. She lives in Tennessee with her husband and daughter. She is an avid reader, a life-long writer, and an aspiring beach bum. She is a stubborn child who resisted God’s calling for two decades until He hit her over the head with a Beth Moore Bible Study book, and she finally figured out He wanted her to be a writer. When not tapping away at the keyboard, she watches NCIS reruns, eats too many chocolate chip cookies, wishes she were at the beach, roughhouses with her daughter, and follows her Army husband around the country. We are nearing the end of our top twenty of 2010. In January, God willing, we’ll focus on intentional living, albeit with a few less posts per week.